Today’s weather, although is cloudy, it is warm! I can smell and feel that spring is here by my stuffy nose and watery eyes, however, an allergy pill can fix that. I love spring. I lived in Florida the 18 years of my life and any weather that has the sun shining I am a huge fan of. With the sunshine coming out and warmer weather means that I want to spend the day outside and granola is the best thing to have on hand as a simple snack! I have always been a huge fan of fruit and yogurt parfaits mixed with some granola. 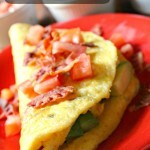 They make such an easy breakfast, snack, dessert or even lunch and dinner sometimes. 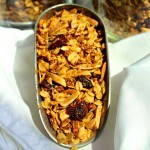 Granola can be so expensive to buy at the grocery store that buying the ingredients and make a few batches is worth it! 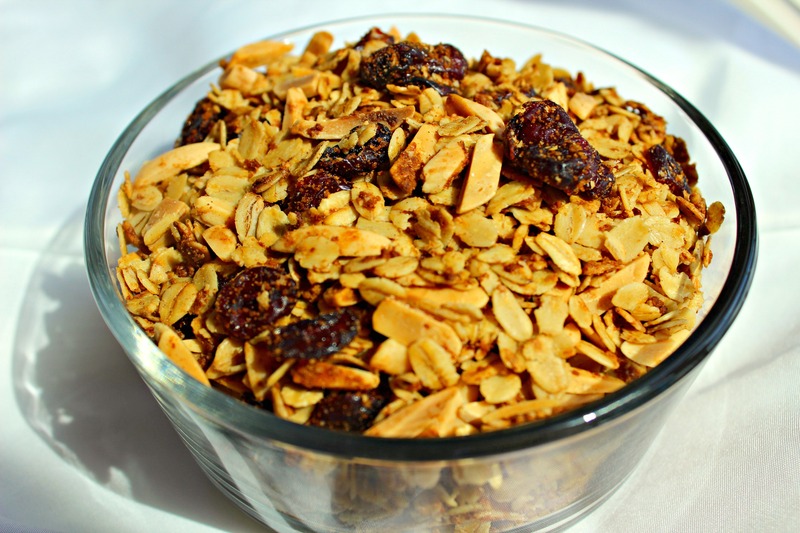 If you have a bulk food store near you it is even cheaper to buy at these stores Too!To be completely honest, making granola, like this cranberry almond granola, is much better for you and tastes amazing too! Optional: a pinch of salt. 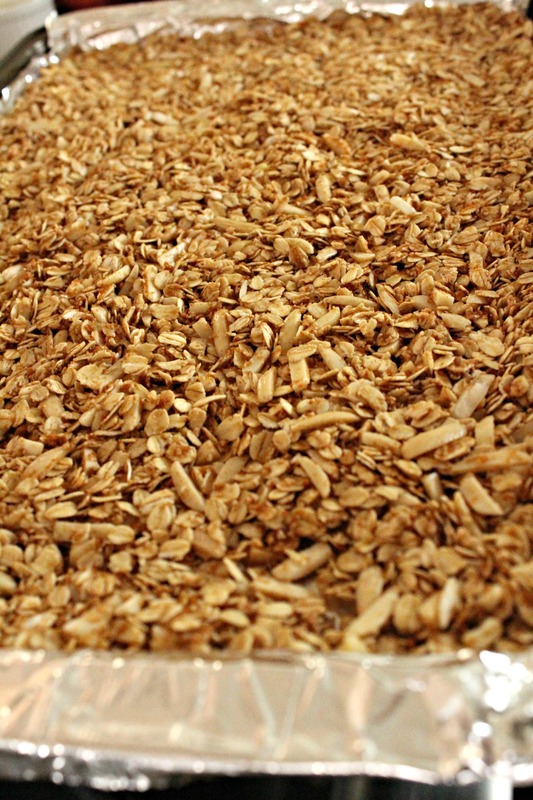 Mix together your oats, almonds, cinnamon and coconut palm sugar. Mix well and add in your melted coconut oil and 2 tsp of almond extract and 1 tsp of vanilla. Take a jelly roll pan covered with a mat or aluminum foil. Spread evenly. Bake for 30 minutes and stir every 10 minutes. 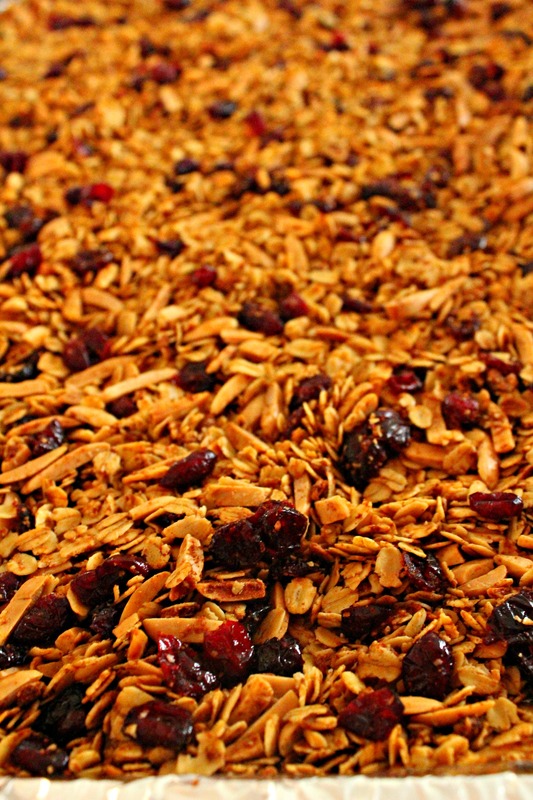 While your granola is baking you can take your extra 1/2 tsp of almond extract and mix it in with the cranberries, however you do not have to! Once done baking add in your cranberries and stir. Let cool to room temperature before storing. 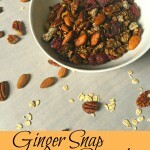 An amazing and simple granola that has a taste that is out of the world! The salt is commpletely optional, but it will bring more flavor out! 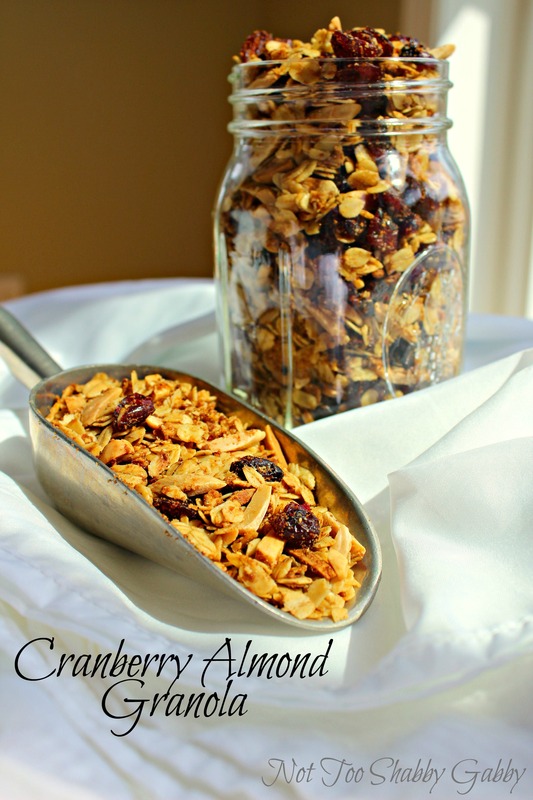 this cranberry almond granola is the perfect spring outside snack! Pack it in lunch boxes or in your hiking pack for the day out! It fills you up so much with all of the fiber and protein. I love it! 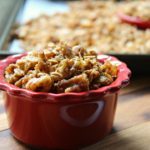 There are so many different ways to make granola or granola bars and I love that it can be tethered to whatever you are craving! Craving something chocolaty? 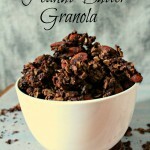 okay, you can make this chocolate peanut butter granola , or maybe you want a granola bar? Well, these Almond Peanut butter granola bars are off the hook! 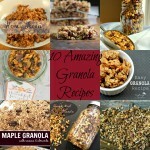 I think my mouth is watering just thinking about all that granola! SO filling and SO yummy! 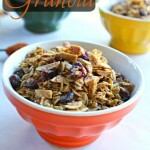 What is your favorite flavor of granola? Don’t forget to follow me on Instagram, Twitter, Pinterest and like my page on Facebook to stay caught up on all the new recipes and posts! You can also sign up for the weekly email, which includes kitchen hack straight from mine to your’s! You will also get a sneak peek at all new posts to come as well! I wish you a great weekend and a happy #foodiefriday! At one time I would have left out the salt, but I agree wholeheartedly that it definitely boosts the flavor! This looks wonderful, Gabby.